Ford introduced its light-duty Ford Ranger trucks in 1982. These Mazda based designs helped establish Ford as a fierce truck competitor. The change to providing fuel efficient trucks helped place more attention on the Ranger series through its production run. PreownedTransmissions.com is the leading source to find 1994 Ford Ranger transmission inventory online. Ford used more than one gearbox for its Ranger platform. The early 1990s featured some new builds that were not available in first three generations of the Ranger trucks. Ford put emphasis on its overdrive transmissions to start the 1990s decade. The A4LD is one of the assemblies featured here for sale. These four-speed automatics are quite popular in the 1994 series. The 4R44E is another build ready for shipment in any part of the U.S.
Ford used more than one manual transmission for its truck series. These were outsourced builds that were either Mitsubishi or Toyo created builds. Ford did use its C3 and C5 editions as automatic builds prior to the A4LD introduction. 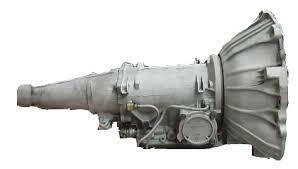 Buyers hoping to find more than one transmission type can use this online resource. There are several different builds that are in stock for Ranger parts buyers. Ford shared the construction of the Ranger and Mazda B-Series trucks in the U.S. The gearboxes used were identical and paired with both four-cylinder and six-cylinder engines. The strength of the truck series prior to the millennium ensured that quality remained high in parts building. OEM gearboxes are the only types that are listed here for sale online. This is important for buyers. There are no aftermarket builds that are available for OEM replacements in Ranger trucks. It does not take hard work to request a price on this page. Sticker pricing is not displayed publicly for several reasons. Any person who knows the parts business understands that prices go up and down. It would be too hard of a task to present pricing on every page. The automated price quotes system here for use by consumers is how to determine each transmission price online. Users of the online system are presented instant pricing. This does not meant that a person cannot call to the customer service department. There is more to selling used transmissions online than the price. There are always many questions that are not answered through this website. This information is always reserved for a specialist. Calling toll-free to receive a Ranger gearbox price quote is a simple process. Any automatic or standard edition build is easy to quote using these options.